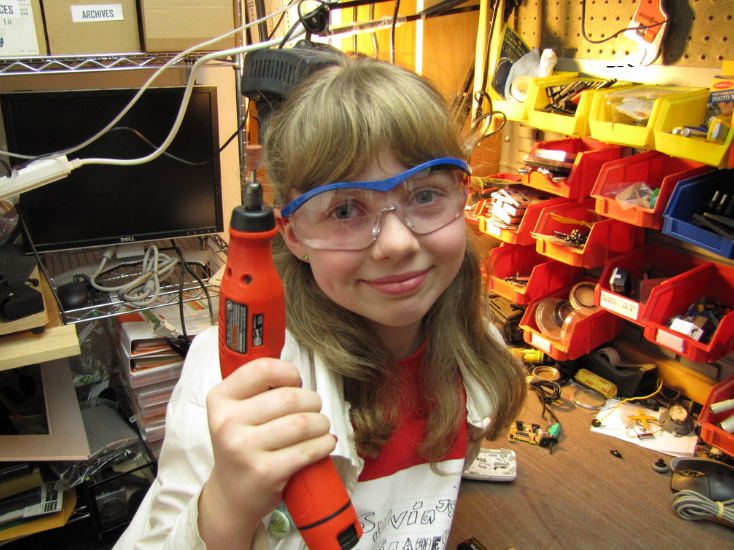 11yo “Sylvia’s Super-Awesome Maker Show” is…Super-Awesome! My name is Sylvia, and I’m 9 years old. 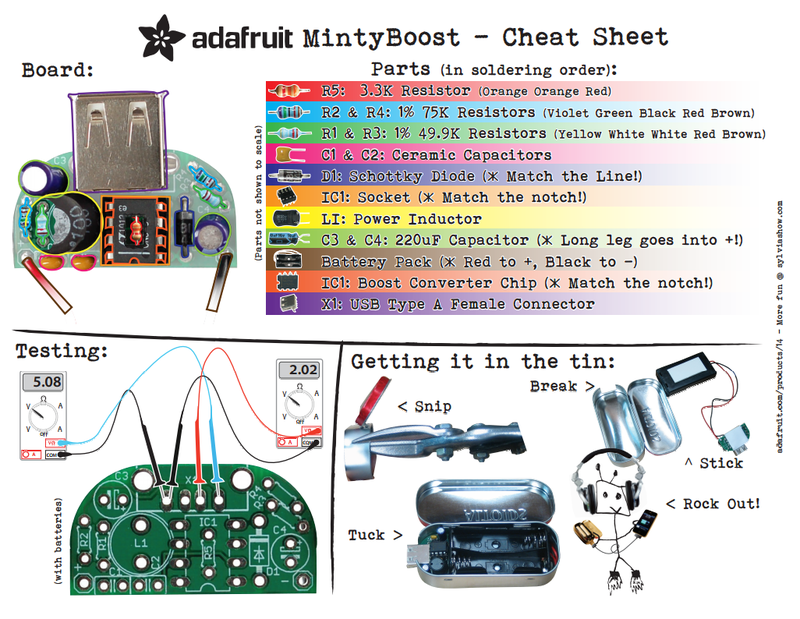 My dad made this crazy website and wanted me to do some stuff on it, so here I am! I like to draw, go swimming and make robots. 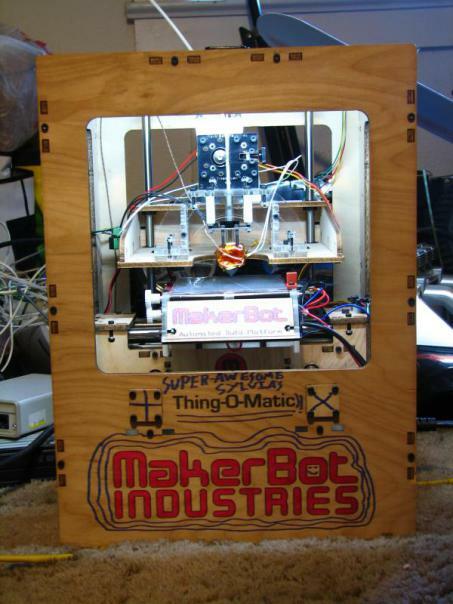 I love Mythbusters, Calvin and Hobbes, making sock monkeys and my Super-Awesome Maker show. This is how Sylvia presented herself two years ago on her dads website. Since then, a lot has happened! 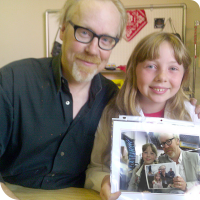 Sylvia now has a successful website with blog,an e-shop where you can support her goal to get to MIT by buying her homemade T-shirts, she has met with Adam Savage from the Mythbusters several times, she has been mentioned at TEDx, Wired, Tech Crunch, and much more. 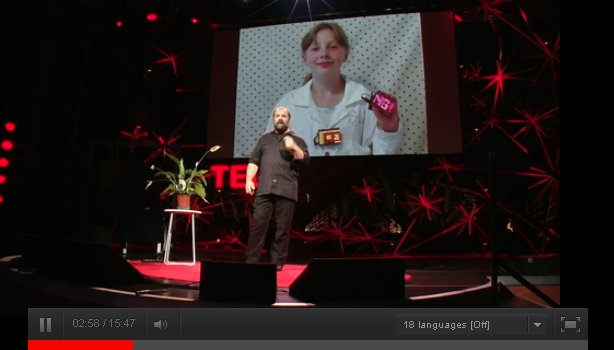 But most of all, she makes very inspiring maker-videoes, with various hacks and creations. Sylvia is very active on Twitter @MakerSylvia (so is her dad @techninja42) and the family team has found a way to communicate technology content to a young audience. 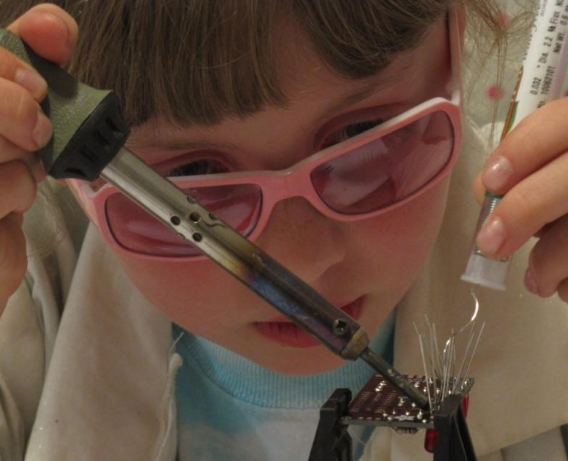 I guess what fascinates me about Sylvia’s Super-Awesome Maker Show, is not only the cool visual way of doing a “How-To”-video, but its the motivation the girl expresses and her ability to pass it on to the viewers. It’s also the father-daughter relationship. Sylvia’s dad gave her a playground and a bunch of tools to give her unlimited creative opportunities. The outcome seems to be a girl having fun, learning and definitely inspiring others! Sylvia is unique. But luckily the world has more than one young prodigy that inspires, innovates and creates while sharing with the world. 15-year-old Kelvin Doe from Sierra Leone made his own radio from practically nothing because he wanted DJ. He lives in a village without power supply and his goal is therefore to build windmills (he made one already). MIT gave him the oppertunity to pursue that. 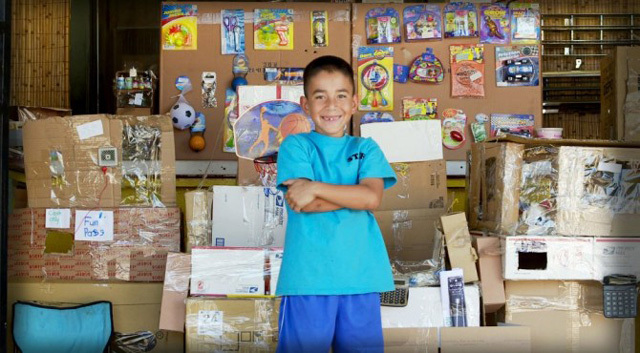 9-year-old Caine Monroy wanted his own arcade, so he made one out of cardboard. Now Caine’s Arcade is a huge viral success. 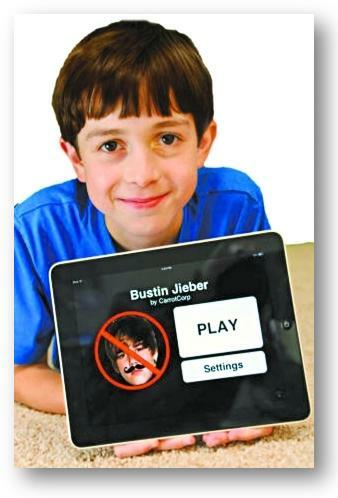 10-year-old Thomas Suarez made the iPhone app Bustin Jieber , because he was tired of the Canadian singer. He is now (two years later) a successful iOS developer.